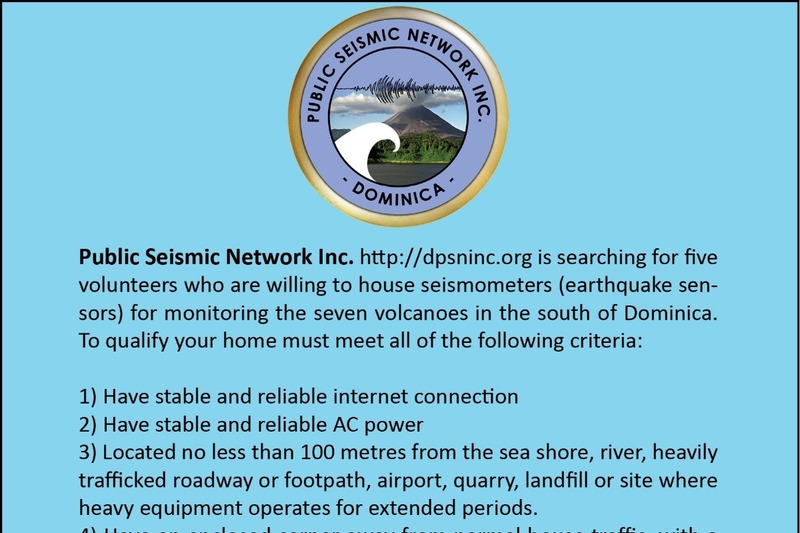 Help us build a community owned and operated seismic network in Dominica. 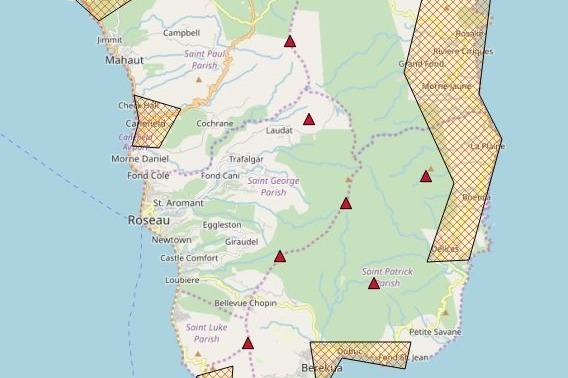 There is an unbroken chain of nine young volcanic centres which form the backbone of the Caribbean island of Dominica from Morne Patates in the south to Morne Au Diable in the north. Frequent swarms of earthquakes which occur beneath these volcanoes may be related to the movement of magma. Recent earthquakes in the Rosalie and Roseau Valley areas indicate that our volcanoes are alive and can become active again at any time. To effectively monitor the activities at these volcanoes, a network of seismometers (earthquake sensors) must be installed around them. 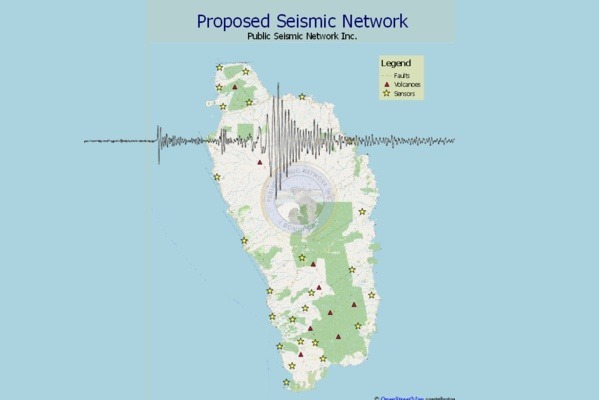 Public Seismic Network Inc , has been monitoring earthquakes around the island for the past two decades. A small seismic network for monitoring the Mt. Aux Diables volcano was commissioned in 2009 but was destroyed by Hurricane Maria in 2017. Recent activity in the Roseau Valley area has prompted us to fast track our efforts at replacing the Mt. Aux Diables seismic network and extend our monitoring activity into the south of the island. Achieving this goal requires the purchasing and installation of a minimum of ten (10) low-cost Raspberry Shake seismometers in strategic locations around the island. 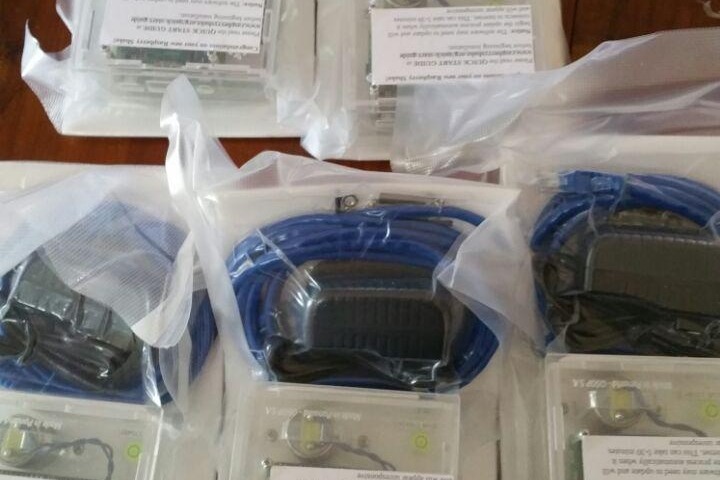 These devices will be distributed to homeowners in select locations across the island to create an effective network for monitoring the earthquakes which occur beneath our volcanoes. Data from these seismometers will be sent to the EQView web platform and EQInfo mobile app where you can get notifications for events which the network locates. All the money raised in this campaign will be used for the purchase of ten low-cost seismometers, shipping to Dominica and import duties. Your donation to this campaign will go a long way in helping us better understand the nine volcanoes with which we live while promoting public awareness of and providing information about earthquakes, volcanoes, tsunamis and other geological hazards in Dominica. 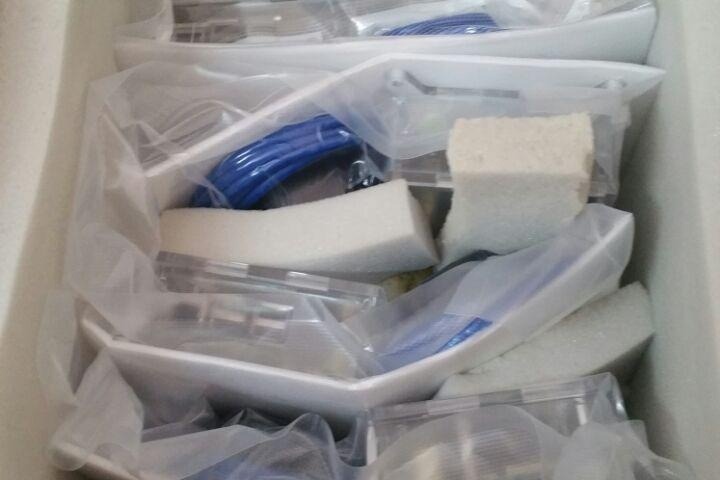 Thanks to your generous donations we have been able to purchase five seismometers. We will begin installation this week and hopefully by the end of March we will have the network operational. 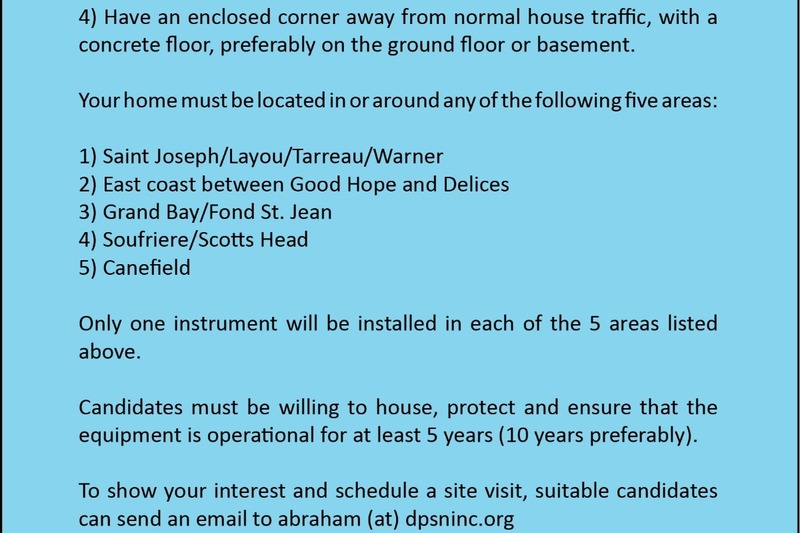 We have begun our search for safe housing for our first batch of seismometers which will be arriving in early March. 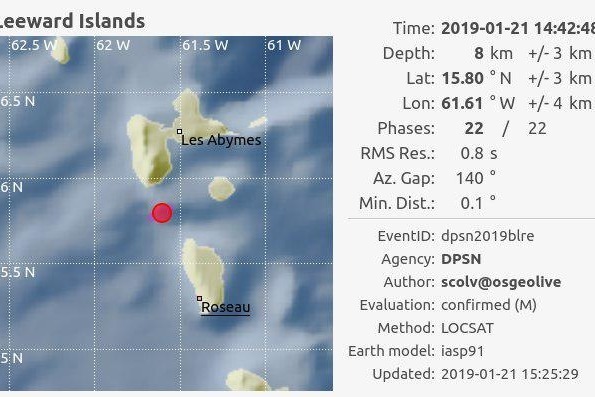 Our small network has just located a small ~ magnitude 4.5 earthquake near the French islands of Les Saintes. Please share so we can make our network more accurate and rubust.